The FACEL (Forges et Ateliers de Construction d’Eure-et-Loir) company was founded in 1939 by Jean Daninos. Ostensibly it was a metal working shop but Daninos had a passion for the automobile and in the early 1950s Facel began making custom bodies for high end cars. By 1954 Daninos decided to begin making his own cars entirely and Facel Vega was born. 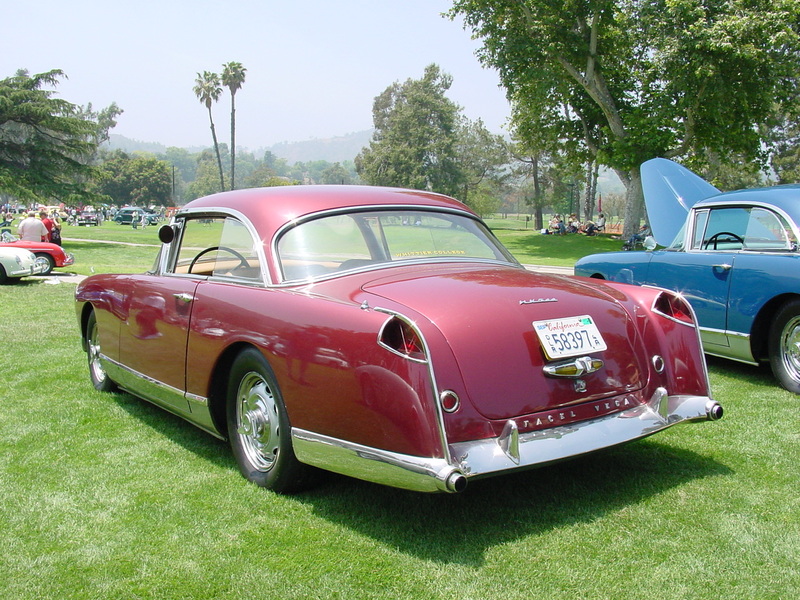 Daninos built his first car, the Facel Vega FV from 1954 until 1958. In 1959 he refreshed the design and the HK500 was born. Though all Facels possess incredible style, the HK500 is arguably the best looking car of the late 50’s early 60’s. Many celebrities owned HK500s including Pablo Picasso, Dean Martin, Ava Gardner, the great racing driver Sir Stirling Moss, Tony Curtis, Ringo Starr, and many others. Albert Camus was famously killed in one when the publisher driving the car lost control of it at struck a tree at high speed. The interior of all Facels is unmatched in style and the HK500 is no exception. With low seats and a dashboard that seems to rest on the driver’s outstretched legs the feel is pure sporting. The high quality leather and wood grained dash, choice of switchgear, and–in manual cars–the delicate gear lever are all the height of luxury. Daninos made this car all things to all people. The wood grain on the dash was actually fake. Since Facel was a metal company Daninos created the dashboards out of metal and had them faux painted to look like wood. Since Daninos did not make engines at Facel the HK500 was powered by a 340hp 5.8 liter Chrysler V8. Later cars got a 360hp 6.0 liter V8 also from Chrysler, which gave the car a top speed of close to 150mph. The interior still manages to look like the penultimate bachelor pad even in a more period choice of color. The hand painted dashboard is incredibly realistic. Little details abound and the more that you look at an HK500 new things jump out at you. This is no less true at the rear of the car. Daninos no doubt expected many people to see the rear of this car as they were overtaken on the road. The low placement of the badge lettering, the way the exhausts are integrated into the corners of the chrome bumper, the way the wings crease inward, and even the placement for the shut line of the trunk are all amazing pieces of a whole. Then there are the tail lights…like small artworks of their own the subtle “V” in the glass only really noticeable when seen at just the right angle. The Facel is so iconic, so French, that in 2007 Pixar couldn’t help but give the villain of Ratatouille an HK500. The HK500 was replaced by an entirely new model in 1962 after only 489 were built. Just looking at a Facel Vega conjures images of glamorous people in glamorous places–think Princess Grace or the Hotel de Paris and it fits right in–though today you’re more likely to find one in a concours show somewhere than parked out in front of a chic casino. Still, a treat for the eye either way. This entry was posted in Uncategorized and tagged Facel Vega, HK500. Bookmark the permalink. Any car that Ava Garder has my vote! Of course, this beautiful car speaks for itself.